The H.E.A.T. Watch Graphic Novel Series is an educational tool about human trafficking for students and the greater community. This series was created under the leadership of Alameda County District Attorney Nancy E. O’Malley, as part of the H.E.A.T. Watch Youth Action Network. 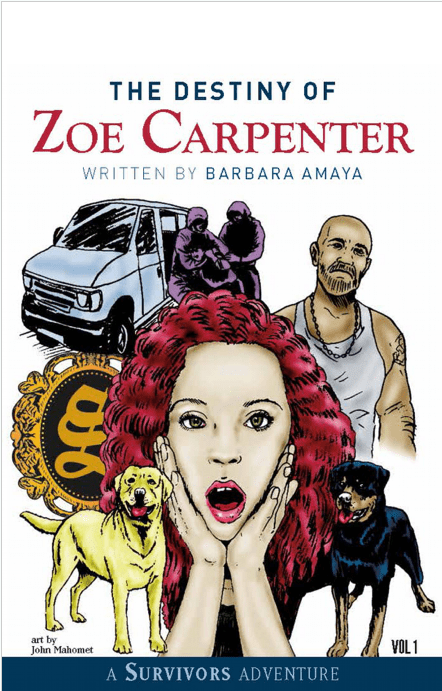 The Destiny of Zoe Carpenter graphic novel follows the invincible Zoe Carpenter and morphing sidekick Carl as they each discover their purpose in life and fight crime, including human trafficking. Book aims to teach and start a conversation about human trafficking, real facts about the subject are included in the book.